Maccabi FC coach, Mokete Tsotetsi says he draws inspiration from the likes of Pitso Mosimane and Benni McCarthy who are proving that local mentors can succeed. Tsotetsi name a name for himself when he guided Maccabi from the ABC Motsepe League to the National First Division in his first season. He has been doing well in the NFD as well with his team in fifth place after 12 games. 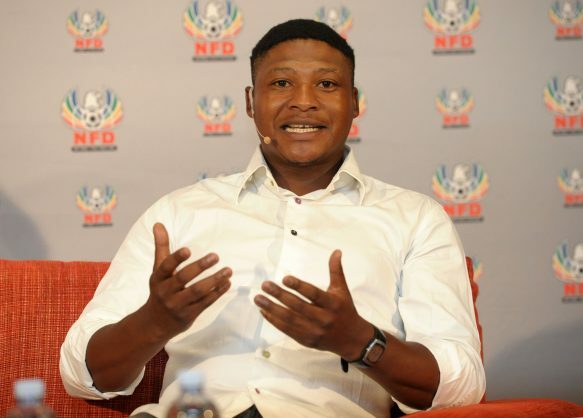 “It’s great to see former players coming back as coaches… look at Fadlu Davids, Benni McCarthy and Dan Malesela, they are doing well and they are people to look up to,” he said. “Pitso Mosimane is now the best coach in Africa after winning the star (Caf Champions League) for (Mamelodi) Sundowns. All those are former players, but it doesn’t mean that any former player can become a coach. You need character. Coaching starts while you are still playing, not when you are retired. It gives motivation as young coaches to know that if you are dedicated enough and you push and know what you want you may end up coaches one of the big teams in Africa or even the national team,” he said. Maccabi are away to University of Pretoria for a Nedbank Cup qualifier at Tuks Stadium on Saturday afternoon and Tsotesti said that they was to advance to the Last 32 so they can test themselves against Absa Premiership teams.